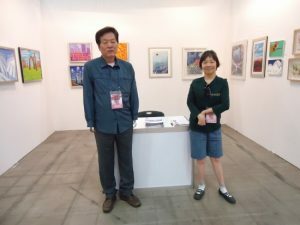 On this year’s “KOREA Art Festival Art fair” more than 450 artists exhibit their artwork. Among them there will be also two Korean mouth and foot painter, KIM Jin-Joo and Kim Myoung-Ki who assisted the opening ceremony. 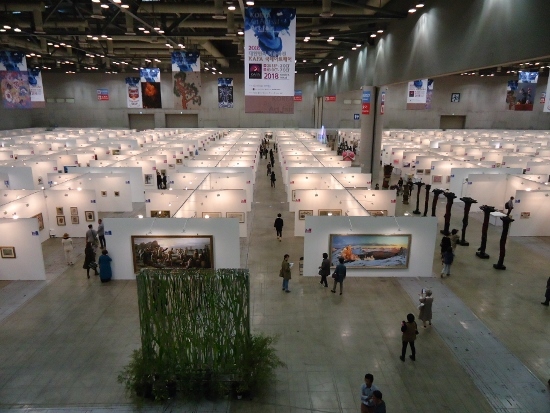 From October 3rd to October 7th 2018 more than 4’000 paintings will be shown to the public in the halls of KINTEX (Korea International Exhibiton & Convention Center) at Goyang City.